Dr. John M. Sarbak is one of Florida’s leading plastic surgeons and he understands that cosmetic surgery is never an easy decision. Dr. Sarbak and his staff take the time to ease all of our patients’ concerns. Serving the cosmetic surgery needs of patients in Florida, Dr. Sarbak’s office is dedicated to providing all of our guests with the best techniques in cosmetic and reconstructive surgery. Please contact us today for a consultation with Dr. Sarbak. 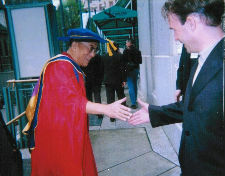 Dr. John M. Sarbak, M.D., P.A. Dr. Sarbak’s background is founded solidly in the tradition of plastic surgery excellence. 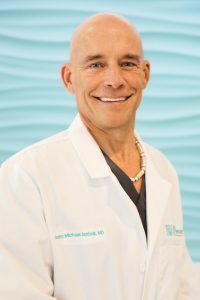 He works within that tradition to bring the latest surgical techniques and technological advances to Vero Beach. His extensive training in craniofacial surgery has molded his approach to cosmetic surgery of the face. This experience allows him to contour the face on many different levels. This can be especially important in the secondary facelift where surgically created deformities must be addressed and corrected. Dr. Sarbak travels annually to South America donating his time to help Peruvian children with congenital deformities of the lip and palate. His work in total nasal reconstruction has influenced his way of thinking about cosmetic rhinoplasty. Subtle alterations to the nose can often times bring about dramatic improvements in both facial harmony and confidence. Dr. Sarbak takes full advantage of new developments in the field of body contouring. He was involved in the early testing of Vaser Ultrasonic Liposuction System and uses this device to enhance results. Women undergo procedures on their breast for a variety of different reasons. Some women desire breast augmentation, which can pleasingly improve breast volume. Others would like to improve some of the side effects of past pregnancy. Women seeking relief from problems related to very large breasts are among the most grateful patients. Dr. Sarbak’s caring approach helps women feel comfortable through emotionally trying times during breast cancer reconstruction. Dr. Sarbak also offers BOTOX, chemical peels, skin care, and Restylane injections. Throughout my career as a Vero Beach plastic surgeon, I have embraced the use of advanced technology and techniques to help achieve natural-looking patient results.